This was the first I spoke to Lily about a relationship issue. After the reading I felt so positive and uplifted. I also started to see things in a positive light rather than a negative one. Its like everything just started to click into place. Thank you Lily. Thank you, Lily! You were very helpful with my situation! I had a reading with Lily today and I must say that she is extraordinarily fantastic. Her description was spot on and I feel now so happy and pleased. I will be calling again as she is so understanding and does not waste time. Worth every penny I spent extra! just had a brilliant reading today with Lily (1/11/2010). It was so positive and uplifting. Lily is a gifted and empathic reader- a lovely lady. I would recommend her to any caller.She has confirmed the end of a cycle and a great new one for me in the near future. Thank you Lily. 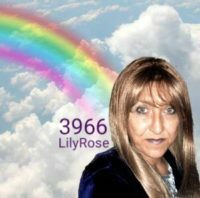 Lily will amaze you with her skills of assessing situations and her interpretations of your readings and her innate psychic ability. She is extremely articulate in her readings and her people skills compares to none. She listens to YOU and to the thoughts and feelings that she picks up psychically, and will tell you as she sees it . 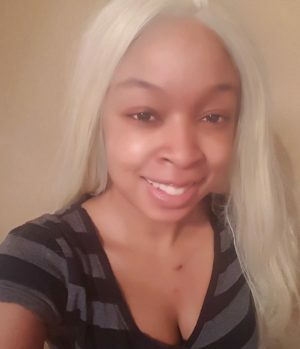 She is very caring and empathetic, and will always tell you things as they are and not as you want them to be and is extremely patient …….and understanding. I know this, I always end up asking hundreds of questions, sometimes again and again , and she is always ready to answer them as she sees them in her reading . Extremely supportive and genuine. Always a pleasure to speak to her, about any situation. I hope lily will always be there at Wishing Moon, because if you are wishing for some answers to your questions then LILY is the person to talk to . I am sure you will see what I mean, after talking to her, she has that gift to help others. Thank you Lily for all your support, and for being there for me and most of all for being totally honest with your readings, and I know as so much has happened as you said it would. Thank you again. I have had several readings with Lily and each time the information she gives is uncanny! Wow, readings don’t get much better than this, Lily is fabulous.